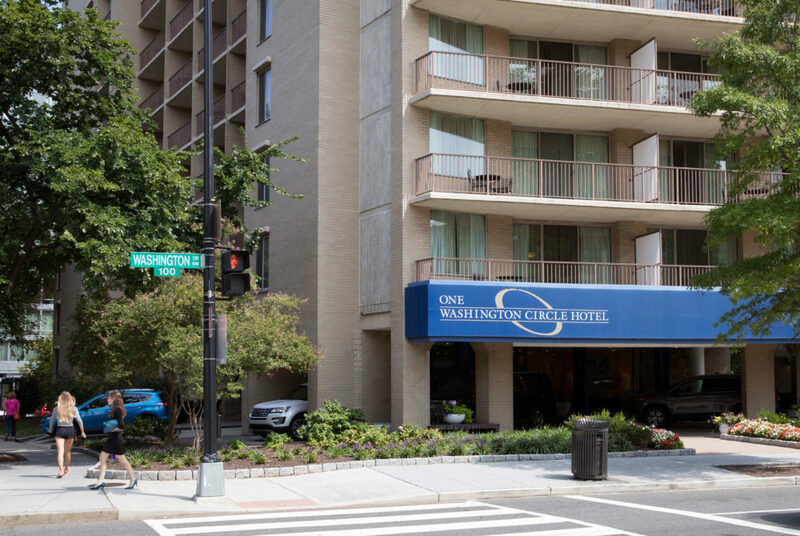 Students who live on the top floors of Fulbright Hall will live at either One Washington Circle hotel or Renaissance Dupont Circle at the start of the semester due to construction in their residence hall. In a summer where near-daily White House scandals and the possibility of nuclear warfare have dominated the news cycle, it’s understandable if you fell behind on the Foggy Bottom headlines. Here’s what you need to know heading back to campus. In early August, news broke that the Department of Education is currently investigating the University for possible violations of federal law for its handling of sexual violence and harassment complaints. No other official details about the investigation have been released, but GW will be reviewing its Title IX procedures this year with the help of an outside law firm. And later this month, the Title IX office hired three new staff members. Thomas LeBlanc began his tenure as University president Aug. 1. In an interview on his first day, LeBlanc said he planned to continue to meet with student leaders as the school year begins. LeBlanc got to work right away, announcing two presidential appointments in his first week as president. He named his chief of staff and director of administration. Former University President Steven Knapp officially left office in July after 10 years with the University. In his farewell letter, Knapp thanked the community for their support and highlighted the completion of the $1 billion goal in GW’s “Making History” campaign. After four years at the top, GW lost its title as the most politically active campus in the nation and slid down to 10th in the ranks. Columbia University beat out GW for the top spot in the annual Princeton Review college rankings, released in early August. Neighboring American University also moved ahead of GW to fourth place. The rankings are based on students’ responses to the question: “My level of political awareness is very high, high, average, low, or very low,” according to the Princeton Review. Students on the top floors of the building are currently living in either One Washington Circle or Renaissance Dupont Circle hotels until renovations are completed. Students are expected to move back into Fulbright between Sept. 2 and Sept. 16. GW has provided pre-paid laundry and an extra $50 of GWorld dining cash for the lower-floor residents as compensation for their patience during the final leg of the renovation. The University announced that the campus bookstore will be transitioning to a fully online format in late July. All course materials and textbooks that were previously sold in the basement bookstore in the Marvin Center will be exclusively available on gwshops.com. Books and supplies can be ordered and sent to the Marvin Center with no additional shipping cost and officials said “most items ship within a business day depending on time of order” in an email to students. But students will no longer be able to purchase books in person on the spot, which may require more planning and less procrastination at the beginning of the semester. In order to address students’ financial worries, GW Libraries announced the “Top Textbooks” initiative in August, where students in “high-enrollment courses” will be able to check out required textbooks that can often be expensive. Turns out, students might be able to avoid the bookstore altogether.